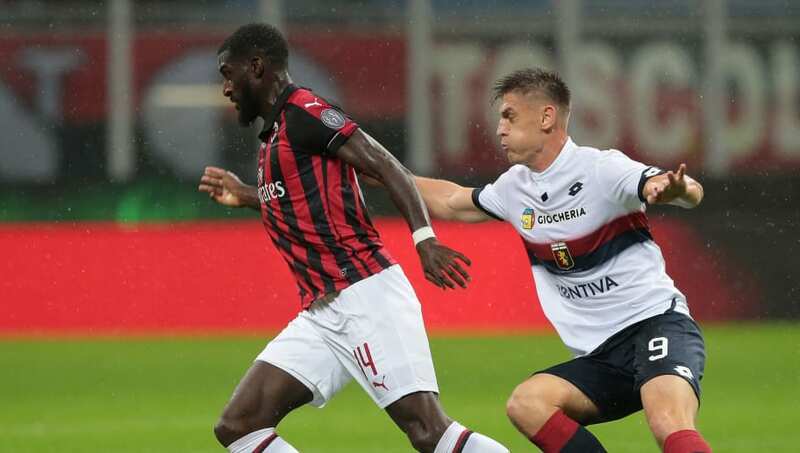 Genoa host Milan on Monday night in the Serie A, coming into the game with one win in five as they look for what would be a moral boosting victory. Milan themselves will be looking to turn things around after a defeat in the Supercoppa Italiana to Juventus on Wednesday. The visitors will be hoping to overtake Lazio in fourth if results go their way as they continue their fight to qualify for the Champions League next season and, with Roma only one point behind the Rossoneri, a win is crucial to keep their hopes of a top four finish alive. Milan will be without midfielder Franck Kessie after he received his marching orders against Juventus on Wednesday. Alessio Romagnoli and Davide Calabria will be out due to yellow card accumulations, while Bonaventura, Caldara and Biglia all have long term problems. Suso will certainly be back in the starting lineup after serving his suspension for a red card against SPAL. Cutrone should lead the line with Gonzalo Higuain expected to sign for ​Chelsea in the very near future. For Genoa, star striker Krzysztof Piatek is suspended, so 21-year-old Andrea Favilli is expected to start in his absence. ​Milan ​Donnarumma; Abate, Zapata, Mussacchio, Rodriguez; Bakayako, Paqueta, Cahlanoglu; Castillejo, Cutrone, Suso. ​Genoa ​Radu; Biraschi, Romero, Criscito; Rolon, Romulo, Lazovic, Hiljemark, Bessa; Kouame, Favilli. Genoa and Milan have come up against each other 23 times. Milan have the advantage with 13 wins, Genoa have six and the other four matches have ended up as draws. Milan only have one win in their last five Serie A matches with three of those ending in 0-0 draws which emphasises their lack of attacking threat up front. Their most recent match ended in a 1-0 defeat to rivals ​Juventus which surely did damage to their confidence. The Milan club could use this game to boost that confidence back to where it's required. Genoa themselves have also won only one of their last five matches in the Serie A. They will be looking to the strike duo of Favilli and Christian Kouame to try to turn their fortunes around on Monday. ​Milan will look to gain some confidence with a win away from home on Monday night. However, going off the result from earlier in the season when Milan just edged Genoa 2-1, it should be a tight game. All things considered, Gennaro Gattuso's side have enough to come away with the win, but it won't be easy.